Rich Moore is well-known and well-loved in Colorado's acoustic music family and has lived and performed here for over 25 years. He made his reputation early on as bassist and guitarist with stellar local outfits like The Solid Senders, and in recent years has been the rhythmic bedrock for Pete Wernick's Live Five, Celeste Krenz, and with ensembles fronted by his wife, the internationally-esteemed vocalist Mollie O'Brien. 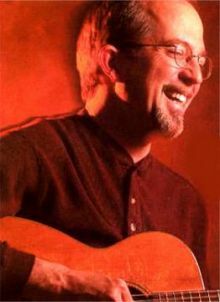 He is guitarist of choice for folk legend Tom Paxton, who invariably requests Moore as a sideman for his Colorado shows.